We won an SAB Innovation Award seed grant! 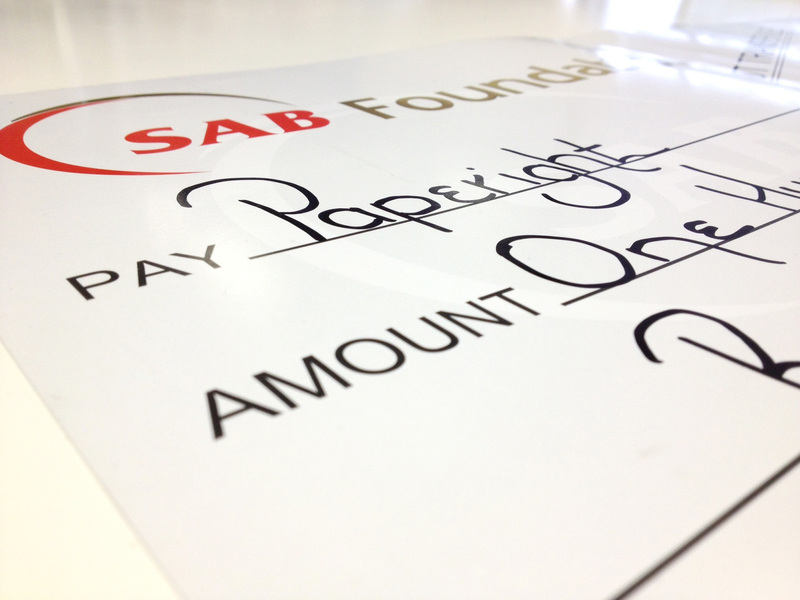 The good folks at the SAB Foundation very generously awarded Paperight with a R100 000 seed grant at the second annual SAB Innovation Awards. In a glamourous award ceremony in Sandton on the 1st of November, attended by many of South Africa’s top entrepreneurs and investors; a veritable mix of glamour and business, millions of rands of funding were handed over to some of South Africa’s most innovative ideasmiths – and us. Not that we knew that, though. Typically, we were too caught up with our work and various other business-y commitments to attend the ceremony, and typically we only found out we had beat out over 180 other entrants and won this amazing grant a few days after the fact. So, thank you to the SAB Foundation for believing in our mission to put every book within walking distance of every home, and thank you to Cyril Ramaphosa for slathering his name all over the beautiful new certificate we now have hanging up in our office. If you’re an entrepreneur with a great idea, you should definitely think about entering next year’s awards! You can read about our experiences at the second round adjudication here, and check out more information about the SAB Foundation and the Innovation Awards here. Next Next post: Paperight outlet featured in the Daily Dispatch!